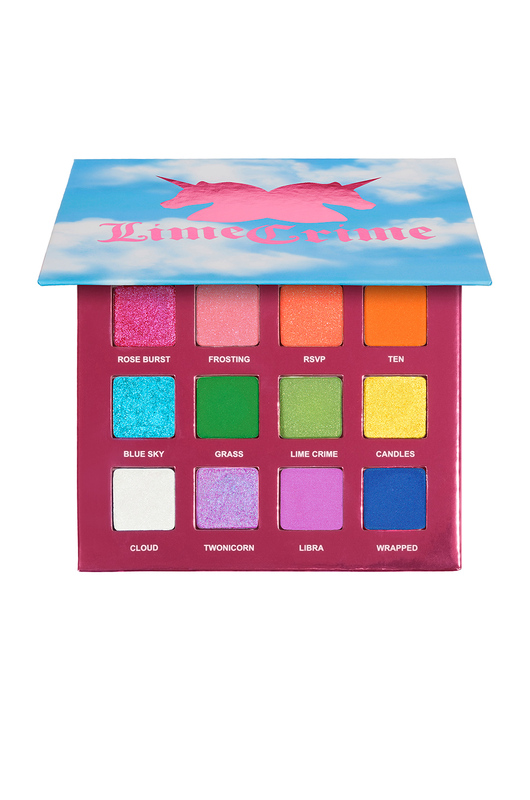 Lime Crime's spectacular 10th Birthday Palette will have you dreaming in skies of blue and glittering clouds of white. 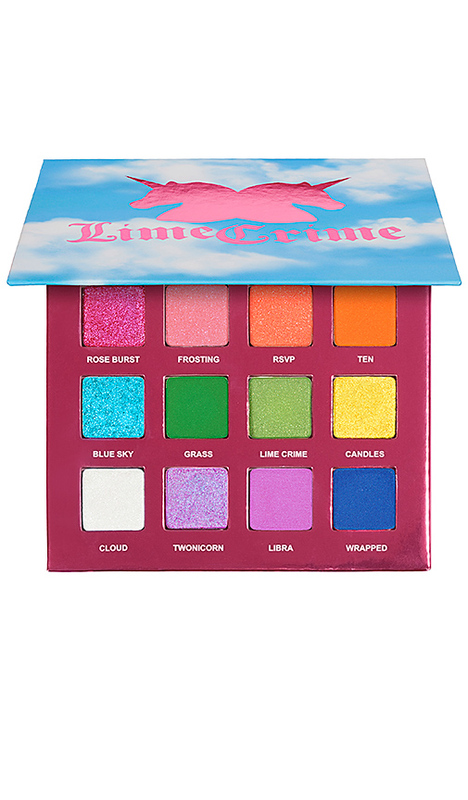 Printed with the original Lime Crime logo against their signature cloud motif, this characteristically colorful palette has 12 all-new shades that sparkle, shimmer, and glow in four unique finishes. Blue Sky: Synthetic Fluorphlogopite, Calcium Sodium Borosilicate, Ethylhexyl Palmitate, Zinc Stearate, Silica, Calcium Aluminum Borosilicate, Mica (CI 77019), Tin Oxide, Dimethicone, Phenoxyethanol, Triethoxycaprylylsilane, Boron Nitride, Talc, Caprylyl Glycol, Hexylene Glycol, Ethylhexylglycerin, Methicone. May Contain/Peut Contenir [+/-]: Titanium Dioxide (CI 77891), Blue 1 Lake (CI 42090:2). CANDLES (EYE): Calcium Titanium Borosilicate, Alumina, Ethylhexyl Palmitate, Zinc Stearate, Mica (CI 77019), Tin Oxide, Silica, Hydrogenated Polyisobutene, Phenoxyethanol, Dimethicone, Boron Nitride, Talc, Caprylyl Glycol, Hexylene Glycol, Ethylhexylglycerin, Palmitic Acid, Benzoic Acid, Methicone. May Contain/Peut Contenir [+/-]: Titanium Dioxide (CI 77891), Yellow 5 Lake (CI 19140:1). Cloud: Calcium Sodium Borosilicate, Calcium Titanium Borosilicate, Mica (CI 77019), Ethylhexyl Palmitate, Zinc Stearate, Silica, Tin Oxide, Dimethicone, Phenoxyethanol, Boron Nitride, Talc, Caprylyl Glycol, Hexylene Glycol, Ethylhexylglycerin, Methicone. May Contain/Peut Contenir [+/-]: Titanium Dioxide (CI 77891). Frosting: Mica (CI 77019), Calcium Sodium Borosilicate, Silica, Ethylhexyl Palmitate, Alumina, Zinc Stearate, Tin Oxide, Dimethicone, Phenoxyethanol, Boron Nitride, Talc, Caprylyl Glycol, Hexylene Glycol, Ethylhexylglycerin, Methicone. May Contain/Peut Contenir [+/-]: Titanium Dioxide (CI 77891), Iron Oxides (CI 77491, CI 77499), Red 27 (CI 45410:2), Red 30 Lake (CI 73360), Yellow 5 Lake (CI 19140). Grass: Mica (CI 77019), Boron Nitride, Ethylhexyl Palmitate, Talc, Silica, Zinc Stearate, Dimethicone, Phenoxyethanol, Methicone, Caprylyl Glycol, Tin Oxide, Hexylene Glycol, Ethylhexylglycerin. May Contain/Peut Contenir [+/-]: Titanium Dioxide (CI 77891), Blue 1 Lake (CI 42090), Yellow 5 Lake (CI 19140). Libra: Mica (CI 77019), Boron Nitride, Ethylhexyl Palmitate, Talc, Silica, Zinc Stearate, Dimethicone, Phenoxyethanol, Methicone, Caprylyl Glycol, Tin Oxide, Hexylene Glycol, Ethylhexylglycerin. 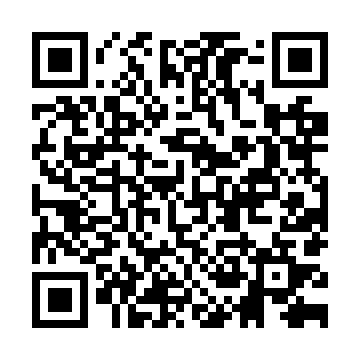 May Contain/Peut Contenir [+/-]: Titanium Dioxide (CI 77891), Manganese Violet (CI 77742), Red 27 (CI 45410:2). 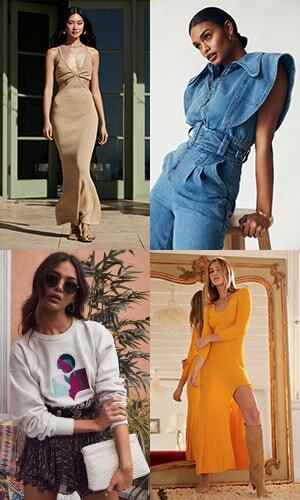 Lime Crime: Mica (CI 77019), Calcium Sodium Borosilicate, Ethylhexyl Palmitate, Zinc Stearate, Calcium Aluminum Borosilicate, Silica, Tin Oxide, Dimethicone, Phenoxyethanol, Boron Nitride, Talc, Caprylyl Glycol, Hexylene Glycol, Ethylhexylglycerin, Methicone. May Contain/Peut Contenir [+/-]: Titanium Dioxide (CI 77891), Iron Oxide (CI 77491), Chromium Oxide Green (CI 77288), Yellow 5 Lake (CI 19140). Rose Burst: Synthetic Fluorphlogopite, Calcium Sodium Borosilicate, Ethylhexyl Palmitate, Zinc Stearate, Silica, Calcium Aluminum Borosilicate, Mica (CI 77019), Tin Oxide, Dimethicone, Phenoxyethanol, Triethoxycaprylylsilane, Boron Nitride, Talc, Caprylyl Glycol, Hexylene Glycol, Ethylhexylglycerin, Methicone. May Contain/Peut Contenir [+/-]: Titanium Dioxide (CI 77891), Iron Oxide (CI 77491). RSVP: Mica (CI 77019), Ethylhexyl Palmitate, Polyethylene Terephthalate, Zinc Stearate, Calcium Aluminum Borosilicate, Synthetic Fluorphlogopite, Acrylates Copolymer, Silica, Dimethicone, Phenoxyethanol, Boron Nitride, Talc, Triethoxycaprylylsilane, Caprylyl Glycol, Hexylene Glycol, Ethylhexylglycerin, Tin Oxide, Methicone. May Contain/Peut Contenir [+/-]: Titanium Dioxide (CI 77891), Iron Oxide (CI 77491), Red 6 (CI 15850), Yellow 5 Lake (CI 19140). Ten: Mica (CI 77019), Boron Nitride, Ethylhexyl Palmitate, Talc, Silica, Zinc Stearate, Dimethicone, Phenoxyethanol, Methicone, Caprylyl Glycol, Tin Oxide, Hexylene Glycol, Ethylhexylglycerin. May Contain/Peut Contenir [+/-]: Titanium Dioxide (CI 77891), Yellow 5 Lake (CI 19140), Red 6 (CI 15850). Twonicorn: Calcium Sodium Borosilicate, Ethylhexyl Palmitate, Zinc Stearate, Silica, Mica (CI 77019), Bis(Glycidoxyphenyl)propane/Bisaminomethylnorbornane Copolymer, Synthetic Fluorphlogopite, Tin Oxide, Dimethicone, Phenoxyethanol, Boron Nitride, Talc, Aluminum Hydroxide, Caprylyl Glycol, Hexylene Glycol, Ethylhexylglycerin, Methicone. May Contain/Peut Contenir [+/-]: Titanium Dioxide (CI 77891), Ferric Ferrocyanide (CI 77510), Red 22 (CI 45380), Red 28 (CI 45410). Wrapped: Mica (CI 77019), Ethylhexyl Palmitate, Zinc Stearate, Indigofera Tinctoria Leaf Extract, Synthetic Fluorphlogopite, Silica, Tin Oxide, Dimethicone, Phenoxyethanol, Boron Nitride, Talc, Caprylyl Glycol, Hexylene Glycol, Ethylhexylglycerin, Methicone. May Contain/Peut Contenir [+/-]: Titanium Dioxide (CI 77891), Iron Oxides (CI 77491, CI 77499), Blue 1 Lake (CI 42090), Ferric Ferrocyanide (CI 77510), Manganese Violet (CI 77742).